The U.S. border fence near El Paso, Texas, 2007. The company will remove and replace 11 miles of fencing around the Border Patrol sector at Yuma, Arizona. The new barrier will use bollards — a series of sturdy, vertical posts. The completion date is set for fall 2020. From 2000 to 2017, Barnard Construction was awarded six Department of Defense contracts that added up to over $160 million. It received over $300 million last November to design and build a pedestrian fence replacement near Yuma. For perspective, that’s just shy of the total amount Montana companies won in federal Defense Department contracts in 2017. Barnard Construction has a history of donating to Republican candidates who favor the Trump administration’s border wall. The company gave nearly $27,000 to Greg Gianforte’s Congressional campaign and nearly $17,000 to Matt Rosendale’s U.S. Senate run last year. Since 2012, Barnard Construction has given more than $38,000 to Senator Steve Daines’ campaigns. 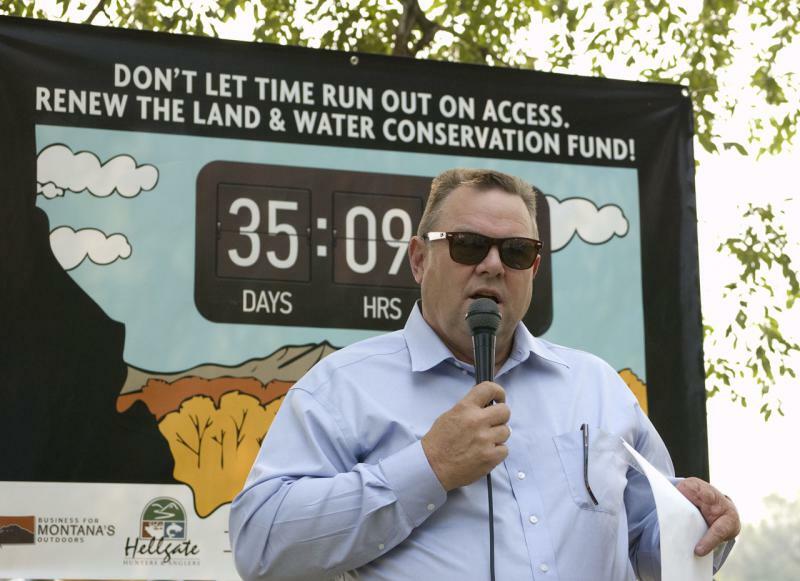 Democrat Senator Jon Tester voiced concern this week that the Pentagon’s redirection of funds to support border wall construction could delay or scrap a new weapons storage facility at the Malmstrom Air Force Base in Great Falls. Barnard Construction did not respond to requests for comment before deadline. Another company in Texas received a nearly $800 million contract Tuesday for 46 miles in the El Paso sector of the border. President Trump is again threatening to close the southern border unless Mexico blocks all illegal immigration into the United States. Here he is speaking to reporters in Florida today. The bipartisan congressional panel that will determine the fate of President Donald Trump’s demand for an almost $6 billion border wall holds its first meeting Wednesday. And Montana’s senior Senator, Jon Tester, has a seat at that table.